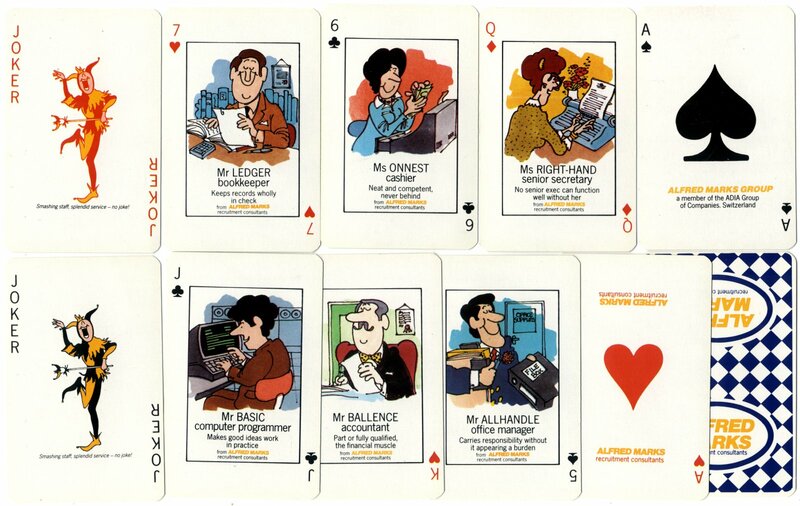 In this non-standard pack, presented in the style of a Happy Families card game, each character is repeated four times in the four suits making a total of 12 ideal staff recruits, plus two Jokers. The Jokers have the caption smashing staff, splendid service, no joke. The four Aces are branded with the words Alfred Marks Recruitment Consultants. 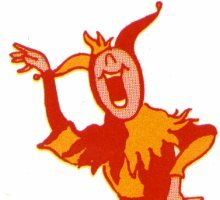 Alfred Marks first opened in 1919 and was bought by Adecco in 1977. 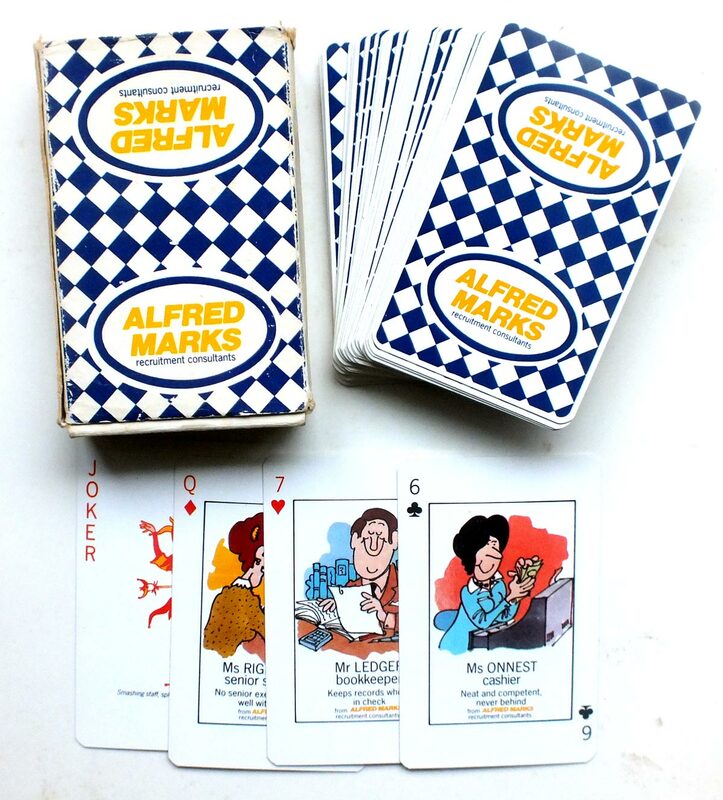 Above: Alfred Marks Recruitment Consultants publicity playing cards published by Astra Games, mid-1980s.